Dubai is becoming more and more popular as a holiday destination for the whole family. With year-round good weather, the blue waters of the Arabian Gulf close by and family-friendly hotels popping up throughout the area, it’s easy to see why. A number of Dubai hotels have well established kids’ clubs – making Dubai a perfect holiday destination for families who want to allow the children to spend some time with other children while they’re away. With traditional activities like arts and crafts as well as more unusual pastimes like camel rides, poolside games and Arabic lessons, there’s a myriad of things for kids to do. It’s also great for families with only one child – as the group activities allow children to meet others to socialise with. There are also a number of things the whole family can enjoy doing together. There’s Wild Wadi water park – where waterslides, pools and lazy rivers create a place that begs to be explored by children and adults alike. It’s a great place to take teenagers too – some of the bigger rides are thrilling no matter how old you are! For active families, there are also a number of water sports which can be experienced – from banana boat rides to water-skiing – perfect for the long hot days on the Gulf! There are even diving lessons which can be taken by the entire family – if you enjoy scuba diving, a trip to Dubai offers a number of great dive sites, as well as a chance for younger kids to experience a first dive. Depending on the hotel, children may be able to try a first dive in a swimming pool within the resort, or you could be taken to a beginner’s level site. If younger children can’t or don’t want to scuba dive, there’s always a chance to snorkel within the crystal waters. 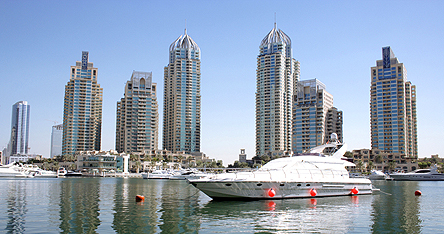 Dubai also offers a number of other exciting places to explore. From the mosques which can teach children about different cultures, to the ski centre in the middle of one of the shopping malls – there’s a wealth of exciting things to see and do with children in tow.